So this starts a couple weeks ago when I won tickets to the premiere taping of Murphy Brown, which is one of my all time favorite sitcoms. 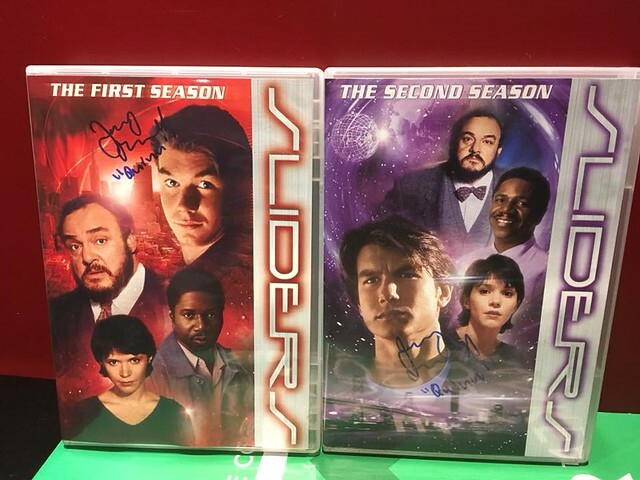 They were my main goal during TV week and I somehow came away empty handed from all the veteran cast members, though I did get the newbies. Since I took off work that day anyway I decided to see what else was going on in the city. 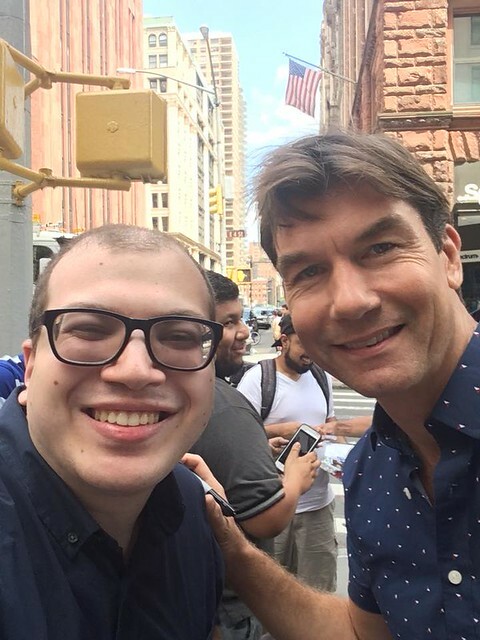 Found that Jerry O'Connell (Sliders, Stand By Me, Scream 2) would be at a usual spot of mine. 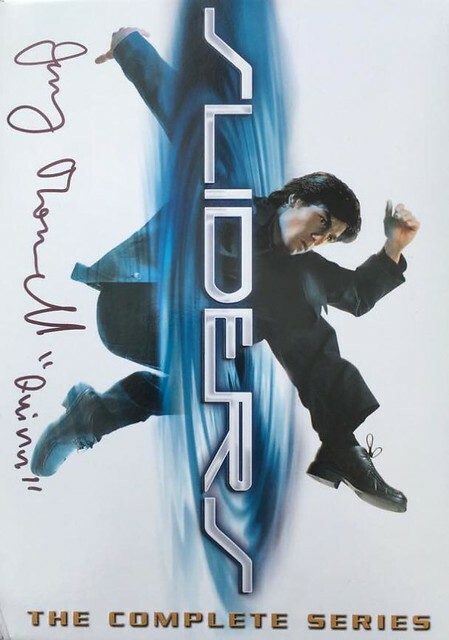 Sliders (the early seasons anyway) were some of the best Sci Fi on tv in the 90s so he was an awesome get for me. 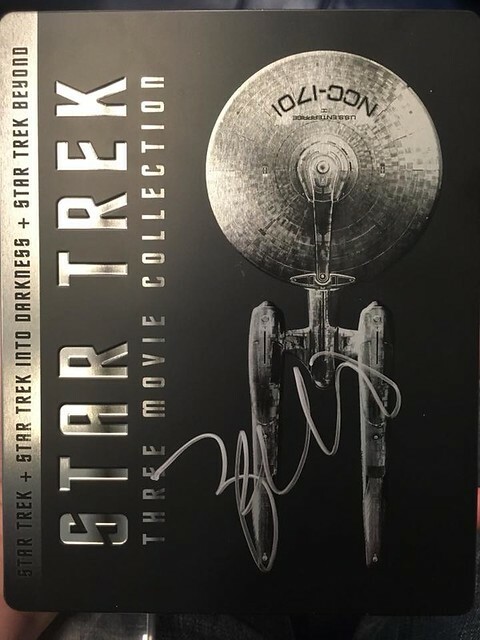 He's a great guy who signed literally anything you put in front of him. And put his character name on everything too! I regret not bringing my Stand By Me Steelbook, but starting that project knowing I can never get River Phoenix has me second guessing. 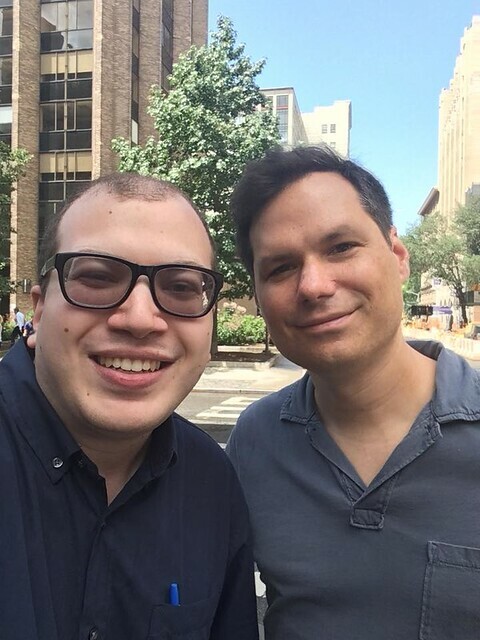 After he leaves I notice Michael Ian Black from the show Ed, which I loved so I follow him down the block and ask for a pic which he agrees to. Told him I loved Ed and he was very appreciative. 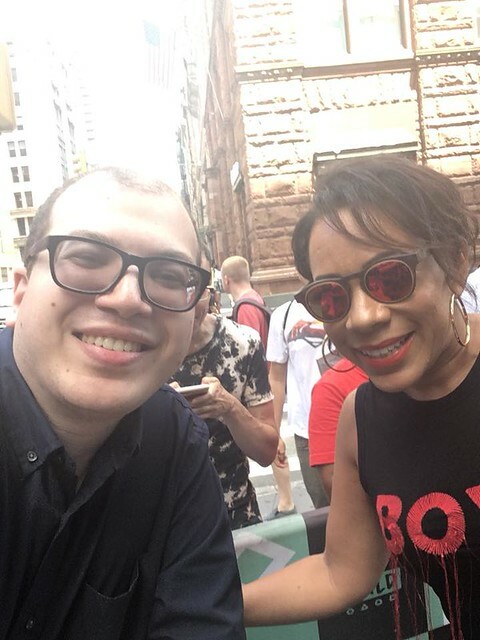 I head back to the spot in time to get a picture with Selenis Leyva from Orange is the New Black. I think I'm going to drop the show this season, but i was a big fan of the earlier seasons. I then head to the Murphy Brown taping and brave the downpour. The show itself was really good if not a bit corny, which was to be expected bringing back a series that ended 20 years ago! I luckily found that after the taping the entire cast and crew was heading to the restaurant located right next to the studio. 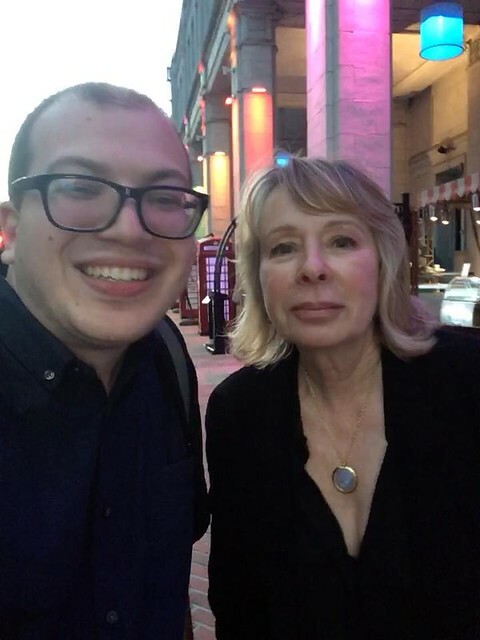 I catch series creator Diane English and she reluctantly stops for a picture. 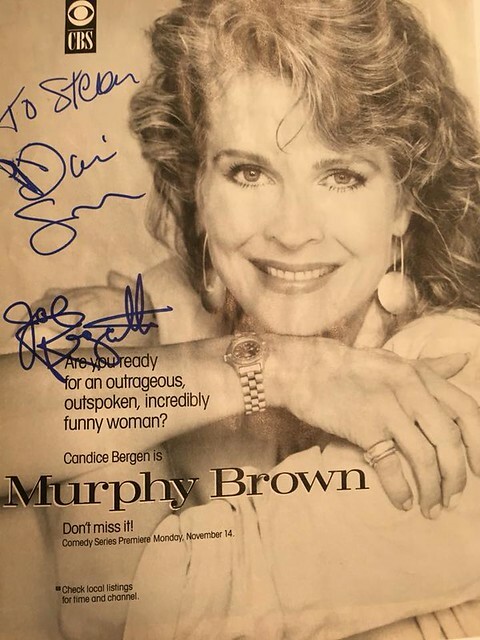 I also have her sign an ad for the original series premiere of Murphy Brown from 30 years ago! Unfortunately most of the cast doesn't stop including Candice Bergen who's one of my top wants. 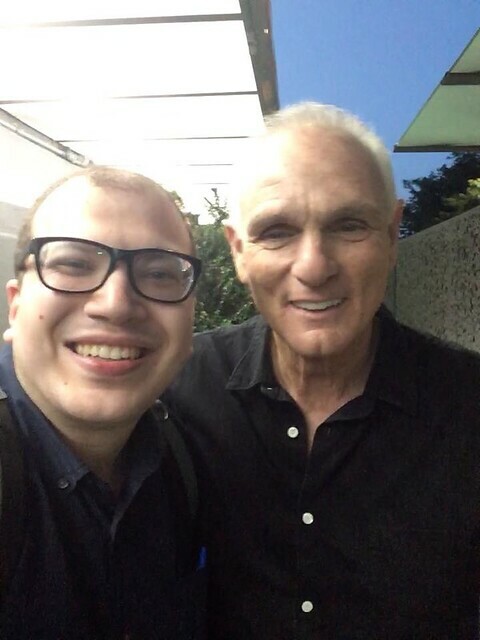 The only original cast member to stop is Joe Regalbuto who stops for the 5 of us waiting. I get the picture and get him to sign my ad! 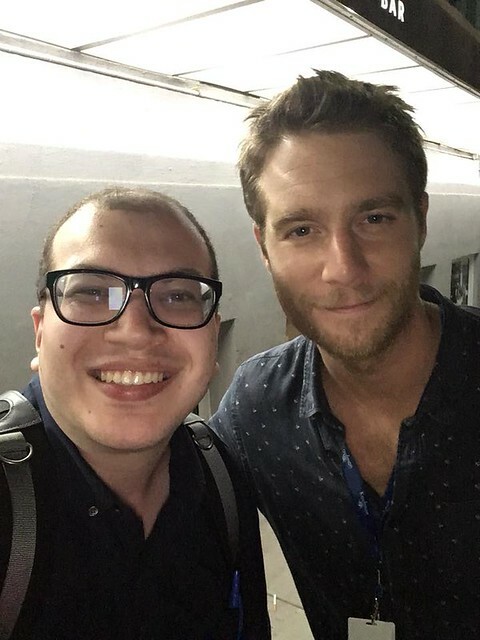 He's as nice as can be and chats with us for a few minutes about what we thought of the episode. 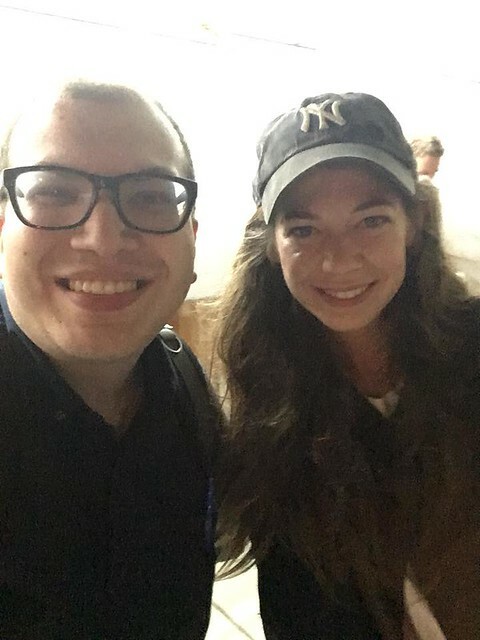 I also score repeat shots with new cast members Tyne Daly and Jake McDorman, but even better he brought his girlfriend Analeigh Tipton from my all time favorite movie Crazy Stupid Love! 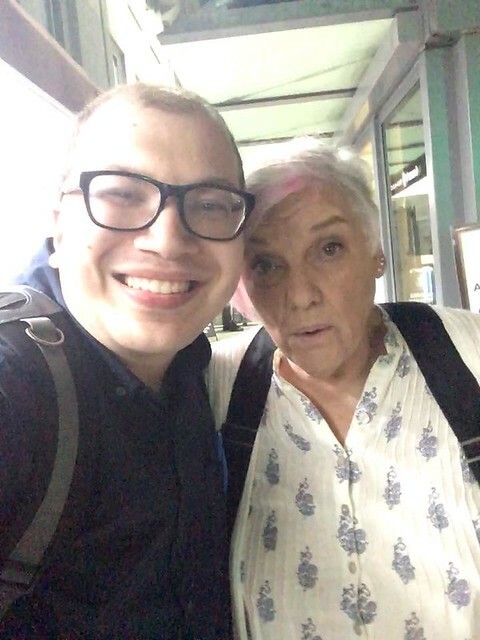 I take the photo and tell her how much I love that movie. I spot most of the original cast leaving but not Candice. So as Jake's leaving I ask if Candice is still inside. He informs me she snuck out the back earlier as she had a flight to catch. 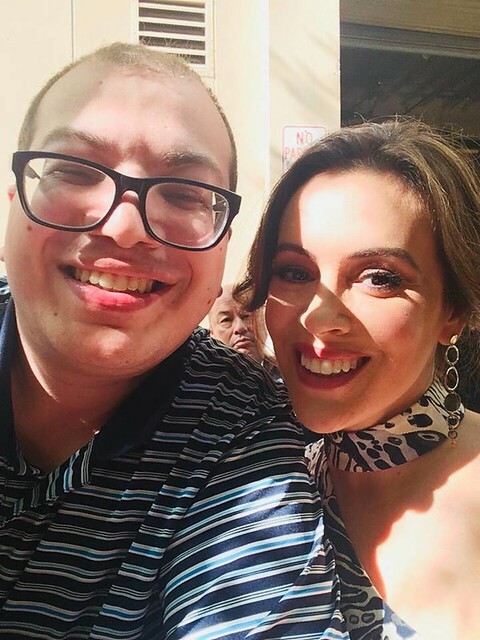 I'm back in the city a couple days later to try for one of my top wants Alyssa Milano. I wake up at 5am and head to the train station only to find out that pedestrians were struck at 2 DIFFERENT LOCATIONS and all lines out of Ronkonkoma were suspended. Finally at 7am the train pulls out the station but the ride itself still takes over 2 hours as they keep stopping for other trains to pass. So I miss her at one location and arrive 5 minutes before she leaves the second. To my surprise there are only 4 of us waiting for her so she comes over and takes care of everyone! The trees caused awful shadows so I try for a second picture. Both aren't great, but neither are terrible. I get her added to my Charmed poster and my Book of Shadows. 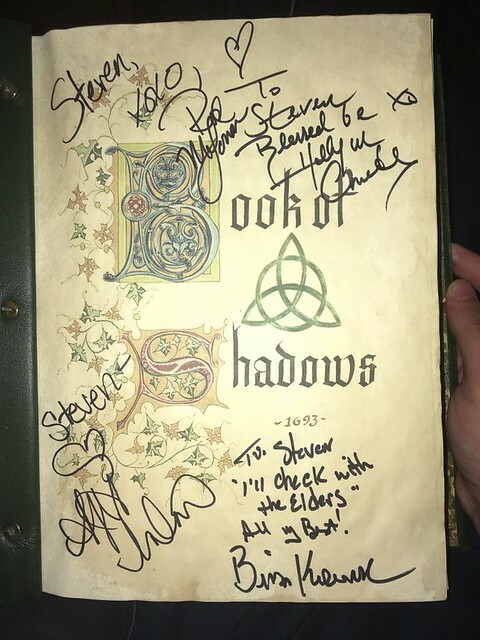 Just need to meet Shannen and I'll have it complete! 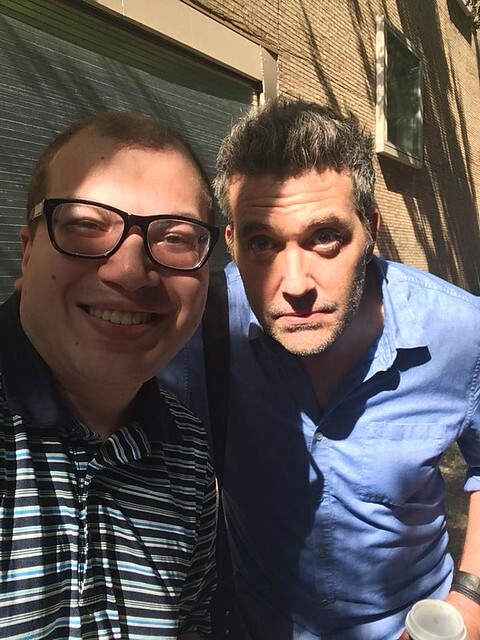 I grab an updated picture with Craig Bierko and after Leslie Bibb jilts us I head back to Penn after spending 30 minutes in the city. 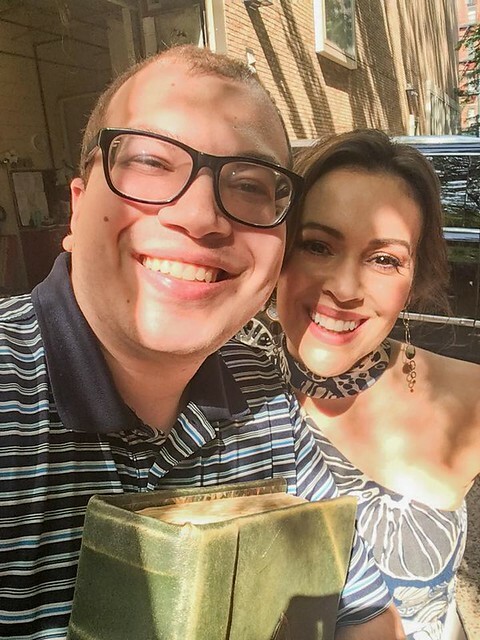 But the next day I'm back at it because I have more for Alyssa Milano to sign so I head back to a regular spot and score another pic with Alyssa, which now has no shadows but she's wearing sunglasses so I can't win. 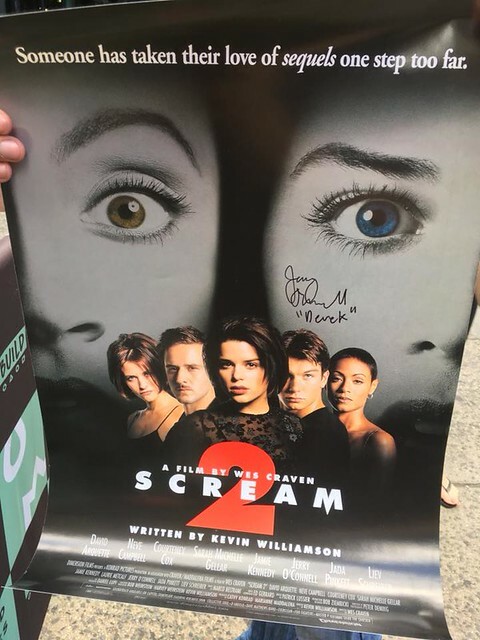 She signs another poster for me and my WB book which is coming along quite nicely! Thanks to the paparazzi I also have a few candids! 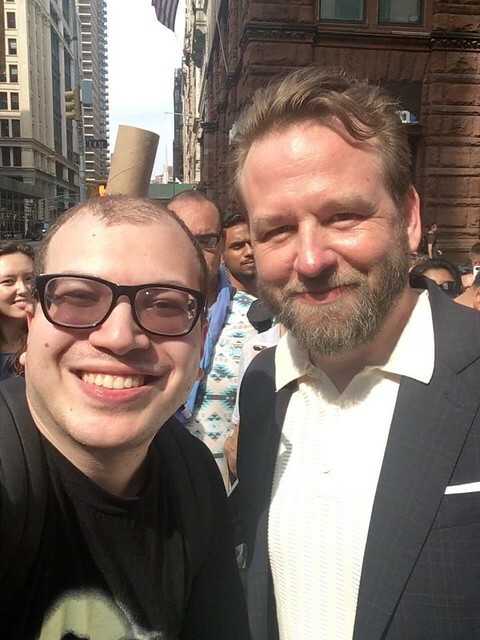 I then grab a picture with Alyssa's Insatiable costar Dallas Roberts who I loved on The Good Wife. I also binged Insatiable in 3 days and LOVED it! I make one more trip down to Broadway to try for Zachary Quinto one last time before his play closes. I've missed him there before and this was my last chance. 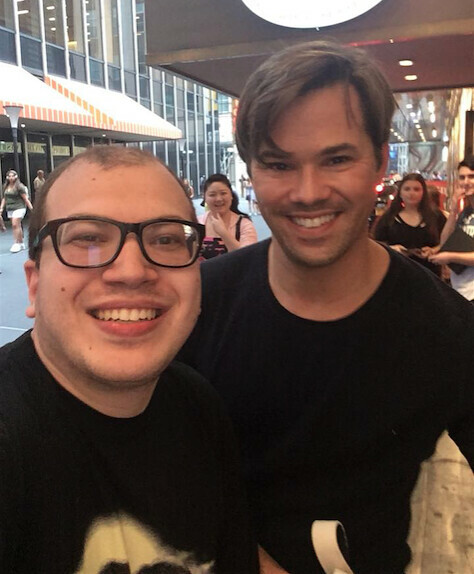 I get an update with his costar Andrew Rannells and Zachary actually stops and signs for the few of us waiting! He unfortunately says no to pics since he's running late, but hey it's something! And that completes my 3 day journey! Next up Monster Mania! 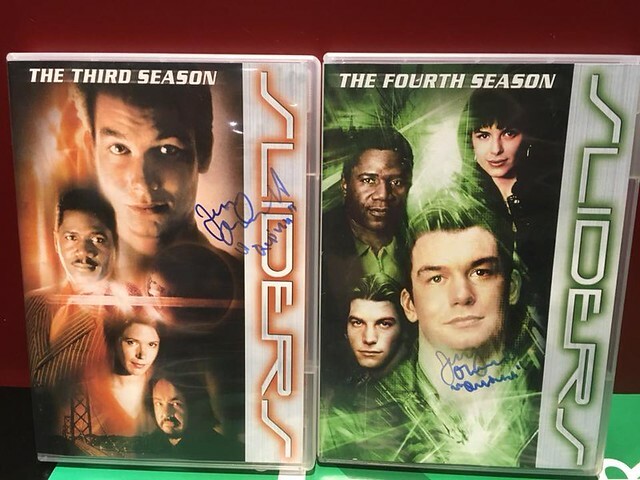 How was Jim Parsons at the Quinto spot? I wanted to go get a pic before it closed, but I never saw a pic of him again once he hurt his foot. There was no point in trying for Jim there. He never stopped at all. Not any time I went or at all from what I can see online. The night I went he was signing, but didn't really stop for photos. I was gonna try to video it, but then he got his injury & he never did it after that. Yeah to my knowledge he never did photos. Seriously WHO CARES about Parsons? Stop mucking up the guy's epic report with questions you already know the answer to. I hope it gets renewed because I’m addicted to it! Too bad Debby wouldn’t stop.